A breath of fresh air, the ability to enjoy ‘peace and quiet’ with family and friends, and healthy exercise. These are all perks of hiking. My fascination with hiking began when I was a little girl. My Polish grandparents and my parents often took me to the Southern Polish town of Zakopane, surrounded by the Tatra Mountains. Zakopane is a very popular ski destination, and offers abundant opportunity for year-round hiking. 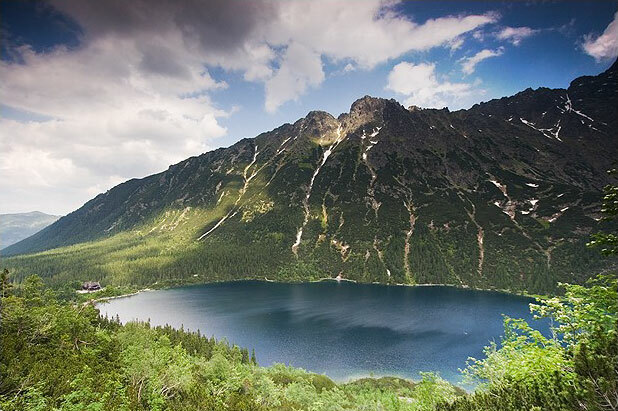 One of my favorite spots in the Tatra Mountains is Morskie Oko, “Eye of the Sea,” the largest lake in the mountains. The lake has a large trout population and is arguably the most beautiful lake I have seen. Winter at Morskie Oko. 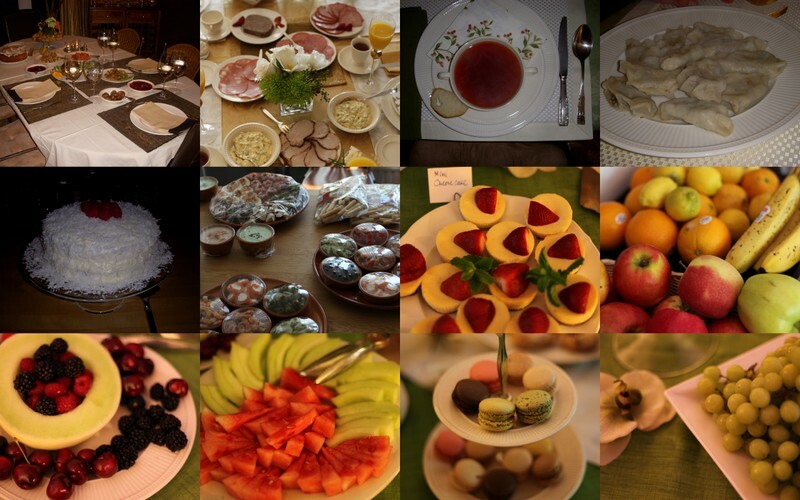 Photo from Poland-active.com. 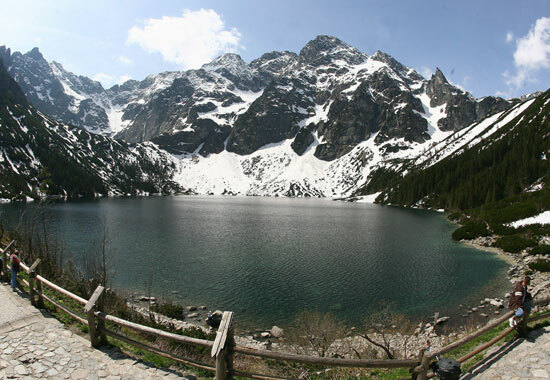 Morskie Oko in spring. Photo by news-poland.com. Around the lake is the highest peak in the Tatras, Rysy (2,499 meters), which my mom took on by herself once. I hope to return there again! Though its name suggests a somewhat daunting prospect, the short hike was very enjoyable. Rain and thunderstorms threatened, but luckily it remained dry. 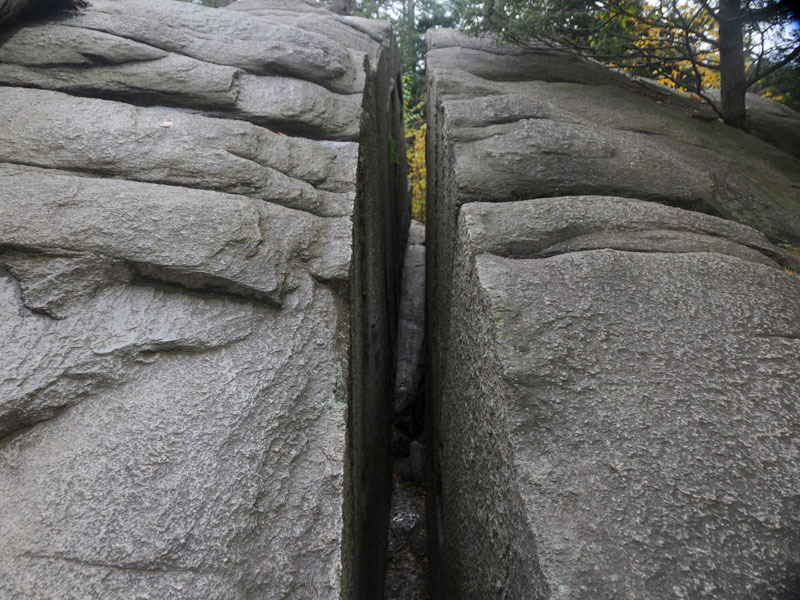 As you continue through Purgatory Chasm’s Loop Trail, you walk along large ‘granite walls’ and can easily spot boulder caves. 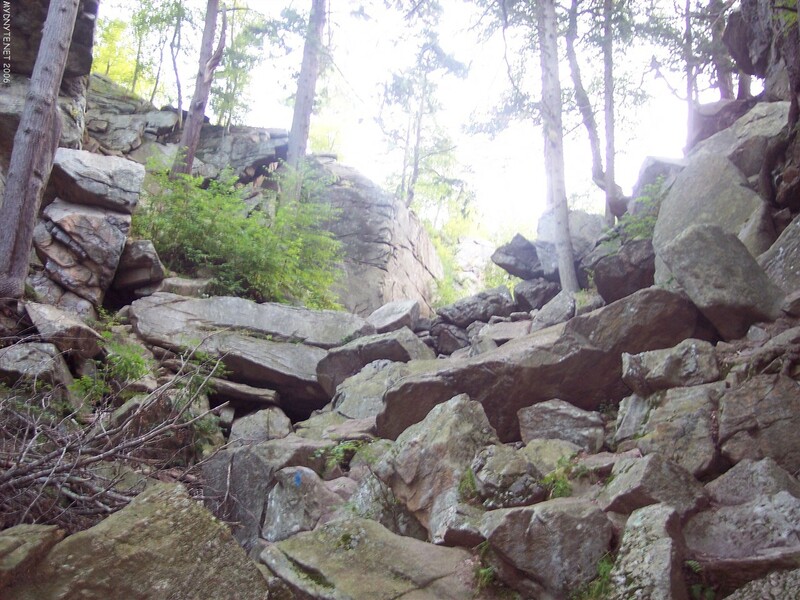 Rock formations in the area boast comical names such as Lovers’ Leap, the Devil’s Corn Crib, and my boyfriend and I braved “Fat Man’s Misery.” Though I like hiking, I’m also a bit afraid of heights, but I pushed myself to “conquer” Fat Man’s Misery and it was a great rush! Fat Man’s Misery. Photo by Stateparks.com. Where are your favorite hiking destinations? What do you enjoy about hiking? Hi Jacek! Thank you for stopping by! It’s a wonderful place! I remember that day very vividly, mom! I was excited and proud of you for conquering Rysy! I hope to do it one day, too. I also think that some people underestimate nature sometimes. It is vital to be adequately prepared for a hike with plenty of drinking water, and you should alert friends/family/park rangers of your intentions especially if going alone! This post, uNicolette, took me back to Poland, to the Tatra Mountains and to one of the most amazing adventures I once had climbing Rysy. One may say that Rysy is not Mount Everest,, so what’s the big deal? Rysy peak was my Mount Everest…. I conquered myself! I have seen idiots/”optimists” trying to reach the top wearing flip flops! With proper gear, attire and supplies I let the GOPR people (mountaineers first aid organization in Poland) know where I was going. They provided me with valuable tips and warnings about ice patches to avoid (while climbing in July) and I knew that they would search for me should I not report back at a certain time. And let’s put it back in perspective – 2, 499 meters of Rysy pale in comparison to over 8,000 plus in Himalayas. BUT, even climbing at this altitude your breathing changes,; you need to make decisions whether to go on or to ditch the plan… I allowed myself a break after every 100 steps, and then it felt easier. The point I’m trying to make is that too many people underestimate the power of nature and their abilities (or lack thereof) no matter where they are. The beautiful lake you mentioned, Morskie Oko, is now crowded by the “bussed” tourists. A moderate/difficult hike around it brings one to Czarny Staw “Black Lake” where you (probably fortunately) cannot swim, canoe, or do anything else. This place offers an absolute silence and peace and contact with your inner self. I hope that the “travelingbag” will stay safe and happy in the Himalayas! Hopefully we will be able to enjoy some pictures and stories. Strenuous hikes make you challenge yourself, pause and have a “moment”… Wish you all such memorable moments. Hi there! I’m a city girl at heart, too, but I also love the “escape” that hiking and other outdoor adventures offer! I’ll be sure to let you know if I’m around the Maryland/DC area. If you need any additional tips about hiking in Poland, feel free to email me! When you come to San Francisco, we’ll plan an afternoon wandering in the Marin Headlands! Gorgeous area. I have just made the momentous decision to trek in the Himalayas next year to celebrate not only my 60th birthday but also the 60th anniversary of the ascent of Everest by Edmund Hillary. Could be interesting so thank you for this post – very timely. Thank you for sharing! What an amazing decision and wonderful way to commemorate your birthday and history. Wishing you all the best! Thank you! Had a great time with you all :). I can’t get over how beautiful the lake is…I want to go. Kayaking there would be amazing! Proud of you for conquering Fat Man’s Misery! That lake in Poland … ooo, would love to kayak there!